Two goals in either half sent Cavan on their way to their second All-Ireland U-14 triumph, with victory over Dublin in an exhausting game in Dunleer. Midfield pair Ellyanna Madden and Letiza Sheridan hit the crucial goals in the first period, while Sheridan would go on to double her tally after substitute Bonnie McKiernan swung the game back in Cavan’s favour with a match winning major in the second period. 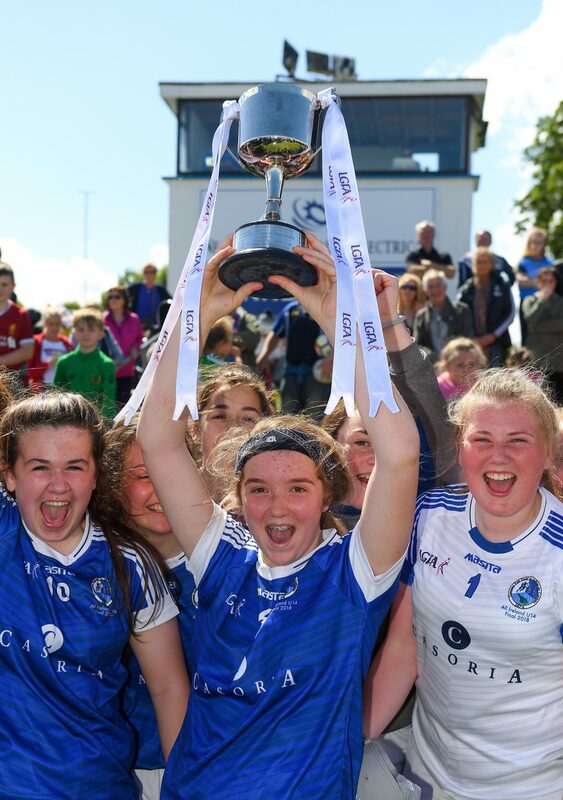 Backboned by a number of the Loreto College All-Ireland secondary schools winning side, Cavan punished a wasteful Dublin side in front of a healthy crowd in the county Louth venue. In the early exchanges Gemma Beatty was the chief score-getter and she struck three first-half frees to give the Ulster outsiders a five-point lead midway through the half. She would finish the game with five points. 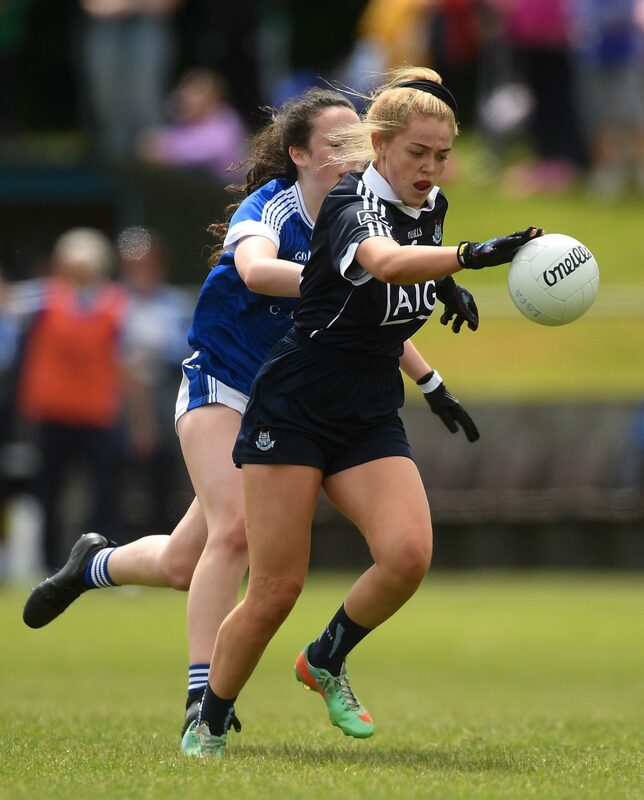 Dublin’s hopes of a first title at the grade since 2007 were well on track when Sinéad Daly gave them a brief lead, but Cavan responded with a goal from towering midfielder Madden in the seventh minute. Once Dublin settled, they found their range through Sophie McIntyre, Shannon Russell and a brace from Ava Lambe, however Shay O’Reilly’s Dublin charges chalked up seven wides in the first-half compared to Cavan’s only miss in the 26th minute. The Ulster side grew in confidence as a result and compounded Dublin’s misery at the end of the half when Sheridan drove from the middle, exchanged passes with full forward Áine Smith and fired a low shot past Molly O’Brien to make 2-4 to 0-5. Dublin corner forward Shannon Russell grew into the game after the break game and the Erin’s Isle youngster was a constant threat. She struck the woodwork on two occasions and often tested Emma Mulvaney in the Cavan goal. But she would not be denied and finally found the net and Leah Pidegon followed up to level soon after. With eight minutes remaining Dublin were buoyed by the momentum of those scores, but Bonnie McKiernan ran on to a Beatty ball over the top and flicked to the net, while straight from the next kick out Sheridan broke Dublin hearts completely with her second goal. After working so hard to get Dublin back into the game Russell did not relent and scored another goal for her side, but she still ended up on the losing side as Cavan hung on for an exciting victory. Her marker Cavan corner back Ava McCaul would go on to win the player of the game. Cavan Scorers: L Sheridan 2-00, G Beatty 0-05 (5f), B McKiernan 1-00, E Madden 1-00, A Doughty 0-01. 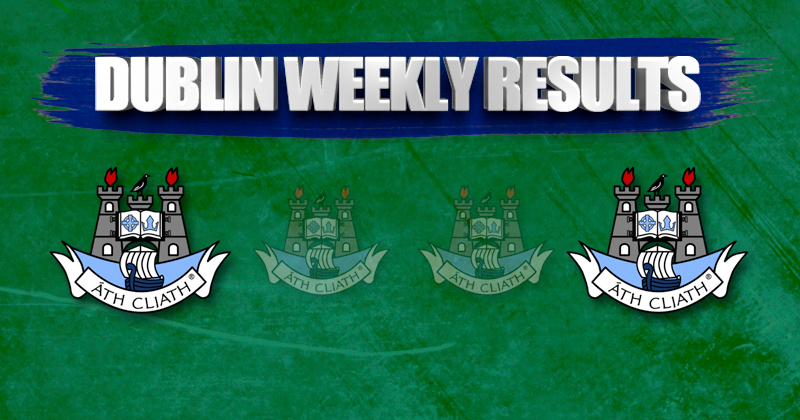 Dublin Scorers: S Russell 2-02 (1f), A Lambe 0-02 (1f), L Caffrey 0-01, S Daly 0-01, S McIntyre 0-01, L Pidgeon 0-01, N Crowley 0-01. Cavan: E Mulvaney; S Daly, M Young, A McCaul; A McEnroe, C Charters, D Brady; L Sheridan, E Madden; G Beatty, C Aherne, A Connors; E Comiskey, Á Smith, A Dougherty. Substitutions: B McKiernan for Comiskey (39). Dublin: M O’Brien; A Taylor, J McGurrin, A Rudden; R Callery, L Caffrey, E O’Shea; E Field, L Pidgeon; A Timothy, N Crowley, S Daly; S Russell, A Lambe, S McIntyre. Substitutions: G Smith for Daly (h-t), E Curtin for McIntyre (49), J Riordan for Taylor (56), K Donaghy for Timothy (58).